Hardcover, 9.5 x 11.75 in. / 144 pgs / 111 color. Preface by Monika Machnicki. Text by Christian Malycha, Antje Dietze. 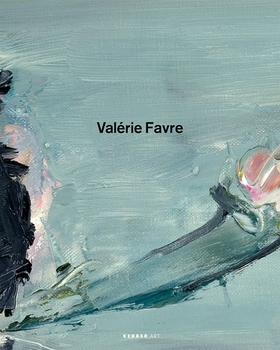 Valérie Favre began her artistic career in theatre and film, in Paris in the 1980s. The paintings gathered here assess her most recent explorations. Her canvases are heavily worked figurations, whose protagonists are rendered in murky, sketchy strokes that impart sensations of sensuality and wear simultaneously; other works are closer to abstraction, foggy with rose-like whirls of twisting paint. FORMAT: Hbk, 9.5 x 11.75 in. / 144 pgs / 111 color.